I have updated the instructions to the LiPo Powerpole Distribution project to include some possible modifications you may wish to make. 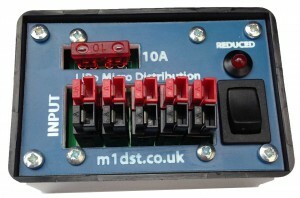 Check them out on the dedicated page http://www.m1dst.co.uk/shop/lipo-powerpole-dc-distribution/ where you can still buy them. Ideal for Elecraft KX3 users who wish to use LiPo batteries.